The Puzzle of the Happy Hooligan served as my introduction to the work of author Stuart Palmer, and more specifically, his series of novels starring schoolteacher Hildegarde Withers. The plot concerns the death of Saul Stafford, half of the screenwriting team of Stafford and Dobie. The duo is well known as the biggest pair of pranksters in Hollywood, and it seems that someone decided enough was enough: Saul Stafford was found in his office with his neck broken. The policeman summoned is all too willing to accept that it was an unfortunate accident. Luckily, who should move into the office next door that very afternoon but Miss Hildegarde Withers? Originally having planned to spend her vacation in Europe, Miss Withers decided she’d much rather see Hollywood after Europe, in Palmer’s words, exploded. (The book was first published in 1941.) Just her luck, a man named Harry Wagman sees her, recognizes her as a detective, and offers to get her a job as a technical consultant on an upcoming film about Lizzie Borden. 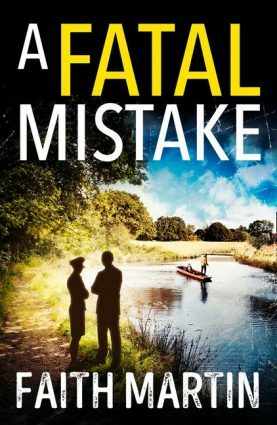 Miss Withers spoke to Stafford before the man met his maker, and realized that the man was frightened to death: she blames herself for his death and determines to track his killer down. 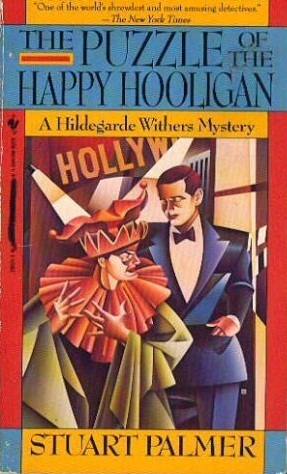 Don’t let my criticism give you the wrong impression: I enjoyed The Puzzle of the Happy Hooligan very, very much. The plot moves very rapidly and is absolutely fascinating. Midway through the book, it employs a plot device that is very old and rather cliché— and yet, it manages to seem fresh and exciting. It’s one of the best uses of this plot device I’ve ever encountered. The characters are all very fun— it is a humourous and delightful romp, as Stuart Palmer brings all sorts of caricatures of Hollywood figures to the murder party. The work on the Lizzie Borden film is absolutely hilarious, and some of the suggestions on “improving” history would have even made Mr. Aaronson (in John Dickson Carr’s And So To Murder) blush! Stuart Palmer, who I believe worked as a screenwriter in his career, brings to life the insanity of the film studio in a wacky and delightful way that is well worth the read. As for Miss Withers, she is a perfect detective: witty, shrewd, and delightful. Her partner in crime is Inspector Piper of the New York police department, who midway through the story boards a plane just to join in the fun over in Hollywood. The interactions between the two are wonderful: they play off each other very well, even though they spend little time actually together in the book. They must be among my favourite recently-discovered-by-me sleuths. Overall, The Puzzle of the Happy Hooligan is problematic in terms of its mystery, but a delightful romp that you shouldn’t miss. Expect the worst from its impossible crime and you’ll probably enjoy it even more than I did! I started reading Stuart Palmer a few years ago. This is one that I particularly enjoyed. Loved the throwaway joke about how much Hildegarde resembles Edna May Oliver (she played Miss Withers in the first three movies). I've only read half of Palmer's output and this book falls in the part that I haven't read yet, but I'm glad to read that it weaker parts didn't deter you from enjoying the overall book. Palmer is a great and lively writer, who's just a blast to read – even when he doesn't bring his A-game. I have to agree that Palmer is a very enjoyable author.